The MIC-RO 240 and 960 are designed for economic, short-term evaluation of membrane processes for separation and concentration at laboratory bench scale. 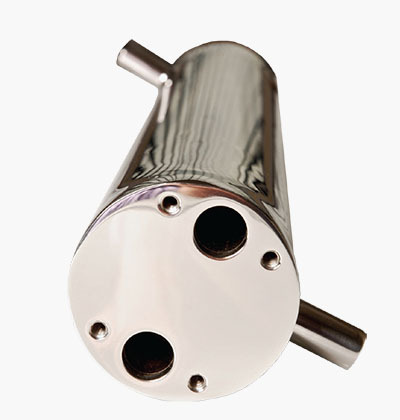 It is a small stainless steel tubular device, 30cm long for the MICRO 240 and 1.2m long for the MICRO960, which accepts two 12.7mm diameter membrane tubes. The module is capable of operating at pressures of up to 55 bar at 70°C and can accept the full range of membranes available for the B1 module, allowing tests of RO, NF and UF processes with the same module. Membrane area is 0.024m2 or 0.096m2. Membranes are available in packs of 6 tubes for any membrane type. The module has termination points allowing easy connection by flexible or welded couplings to existing equipment. design allows the use of tubular membranes in areas where they were previously considered noncompetitive against thin-channel membrane configurations.